We have expertise in electrical design, installation and maintenance. Our fully qualified Napit Approved electricians offer services from replacement consumer units to full electrical rewiring, landlords certification, garden lighting and innovative led lighting and design. Fault finding diagnosis services for domestic industrial and commercial. We aim to provide a fast, efficient and quality electrical installation, repair, design, maintenance and contract service for domestic commercial and industrial clients. Find out how we can meet your needs, contact us today. Our electrical testing engineers have extensive knowledge in the electrical and inspecting industry and can offer prompt and reliable services such as EICR Certification, 10 years domestic and 5 years commercial. Not complying with these guidelines will not only leave you in the dark with any potential hazards lying within your electrical installation but may also void your insurances. Domestic properties require an EICR every 10 years and prior to additions and alterations to existing installations or at change of ownership. We offer competitive rates for an EICR on your property to find any electrical dangers within your home. Periodic Inspections | Every 5 Years. 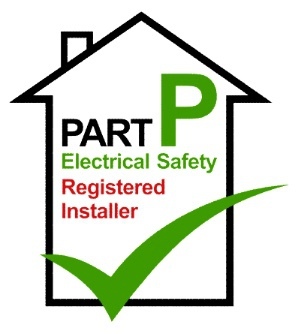 The IET Wiring Regulations (BS 7671) state that electrical installations must be Periodically Inspected and Tested, which in typical environments such as offices, shops and warehouses the electrical system is to be fully tested every 5 years or for larger installations testing 20% of each distribution board per year throughout the 5 year period. Our 24/7 emergency electricians carry an extensive range of testing equipment so we can fault find on any emergency call-outs immediately. This service is vital for business owners because a loss of power could result in a business not being able to trade.